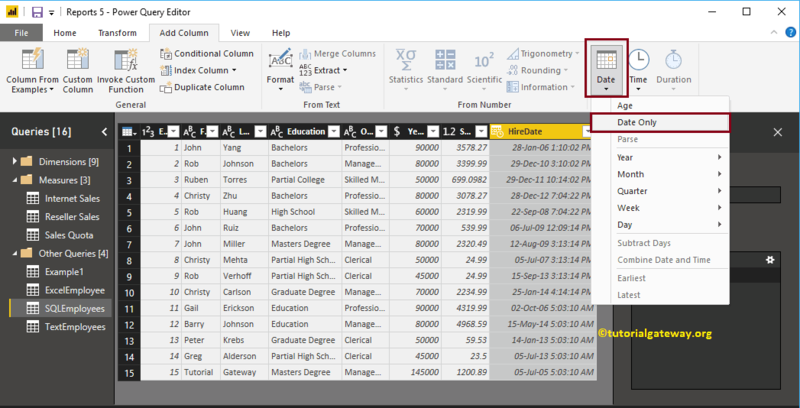 In this article, we will show you, How to Format Dates in Power BI with an example. Using these formatting options, you can extract Year, Month, Day, Day Number, Day name, Month Start and End etc. 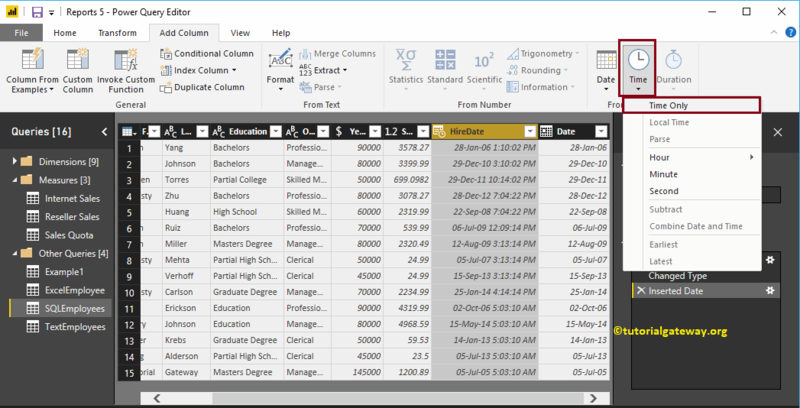 To demonstrate these date formats, we are going to use the SQL table that we imported in Enter Data article. 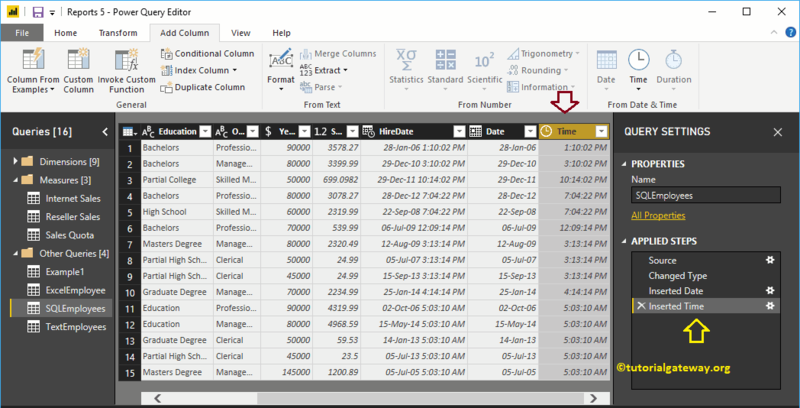 In order to format dates in any table, please click Edit Queries option under the Home tab. 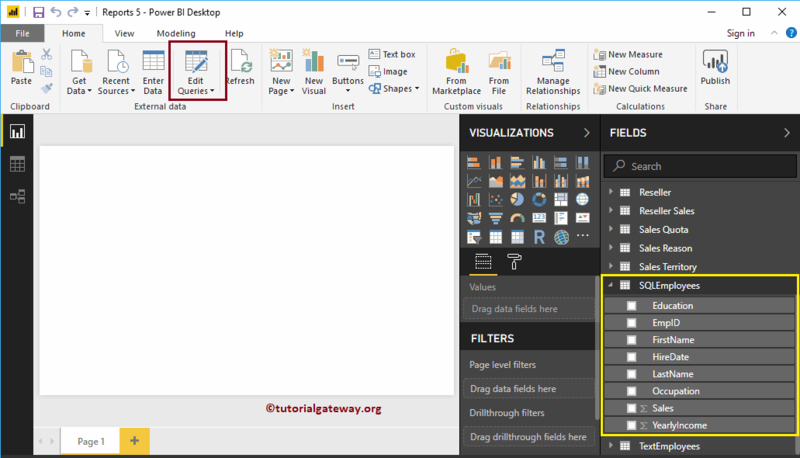 Clicking Edit Queries option will open a new window called Power Query Editor. From the below screenshot you can see the HireDate column. 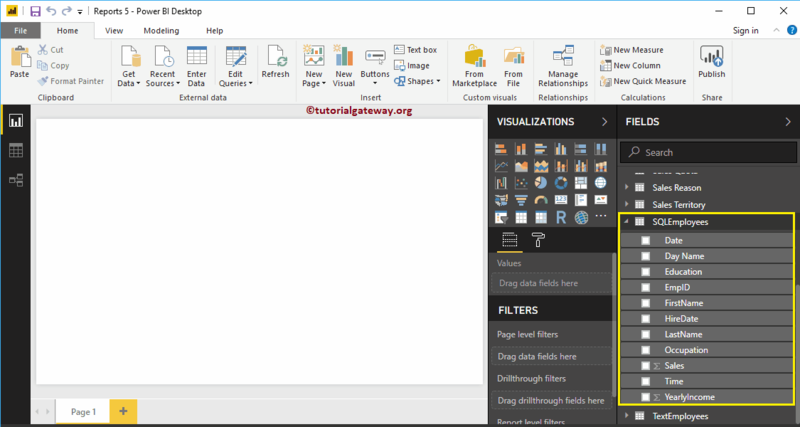 To demonstrate the formatting options, we are going to use this column. First, go to Transform Tab. Under this tab, you can see the Date and Time options. You can use these drop-down lists to format the dates. 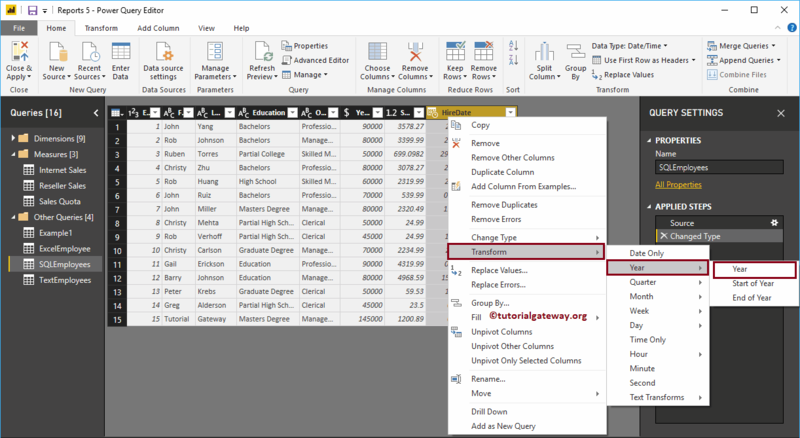 Above specified approaches are replacing the existing column with the formatted date but this approach will add an extra column for formatted date. 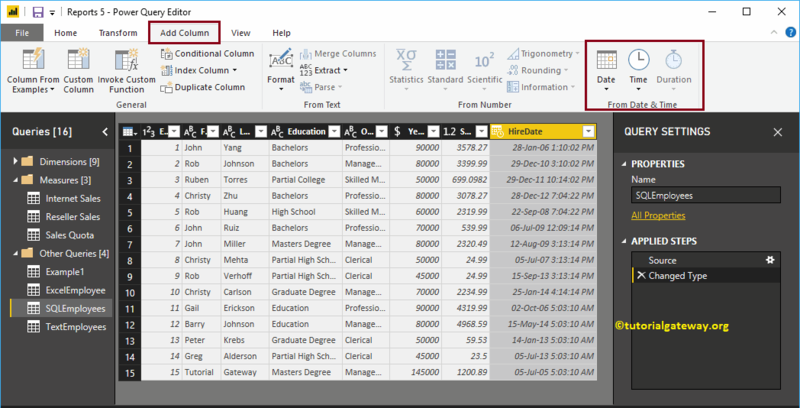 First, go to Add Column Tab. Under this tab, you can see the Date, Time, and Duration options. You can use these drop-down lists to format the date and Time. 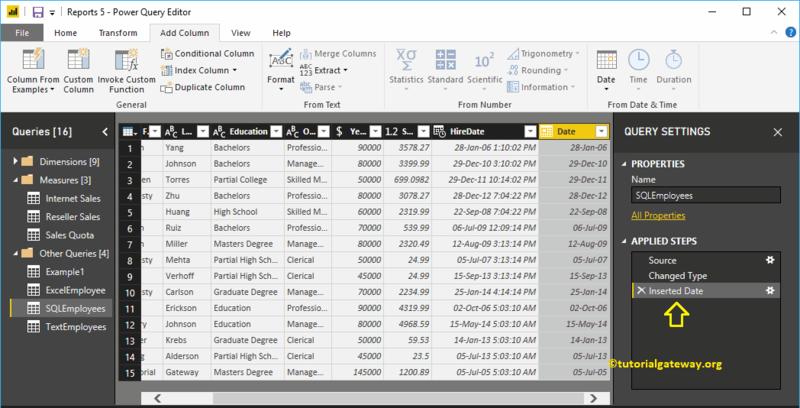 Now you can see the extra column displaying the day name. Next, hit Close & Apply option under the Home tab to apply these changes.